“Health is wealth” is the age old idiom which stands tall even in this technology era. And it is this technological era that makes us so addicted to the gadgets and gizmos that we eventually tend to forget and neglect about our health. People now-a-days are in a rat race to earn money for a better standard of living, to enjoy the various lavish facilities that technology has to provide. So where the parents of Daksh my neighbors who left their five year old kid under the supervision of a maid and choose to run after their career and money. But what they forget at the end of the day is that this rat’s race takes a huge toll on their health and body and thus sadly fail to realize that true wealth is with family, friends and good health. Often we see parents neglecting their child for some or the other work/professional reasons and this do have a negative effect on the child’s health. One day Daksh came home from school and slept citing headache. The maid simply allowed him so without even checking and finding out the reason for the headache. That evening he was fine, smiling and chirpy as usual. But little did any of them knew that the seed of a possible illness had already been planted and deep rooted into his system. Children at such tender age need the most of the nutrition for their good and balanced growth and to evolve as a healthy child free from various illness and diseases. But that was the only thing which Daksh missed desperately; a frequent plate of good, nutritious and healthy food. And most of the time it was breakfast that was given a skip. Thus what seemed like a one off headache to their parents turned into a chronic one with him frequently complaining about it and eventually missing his school, hampering his studies. Few days later, a call to their parents from the principal of his school bought their attention towards their child’s. Apparently Daksh had just collapsed while playing in the open ground under the sun. His parents simply couldn’t believe that his son was highly malnourished despite being rich and affluent possessing world’s best living standards. After consulting with the doctors it was found that he was highly under fed with his stomach being empty most of the time. And even if he had something once a while it was mostly outside food like wafers and chips that kept his hunger satiated. This resulted in his immunity from diseases dropping significantly. This incident came as an eye opener for Daksh’s parents. They took the doctor’s advice of giving proper nutritious home cooked food and a tablespoon of Dabur Chywanprash daily to increase his immunity by 3 times if not more. 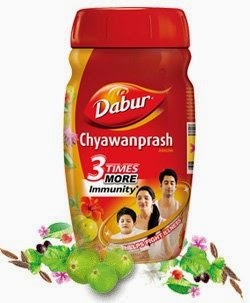 The reason for doctor’s advice to take Dabur Chywanprash is it’s time-tested, age old formula which includes close to 40 natural ingredients and herbs like amla that acts as an antioxidant and helps in building the child’s immunity. Few months later, the result was extraordinary for them. Daksh had improved very well in terms of immunity and with frequent timely and balanced diet, his body was now acting as a shield and protecting him from illness and diseases that keeps children low and on to the bed. Smiles had now been increased ten folds with a healthy Daksh and a much healthy and a happy contended family. Thus, helping the family to live the life to its fullest and never have to face a dull day in life with respect to health. This post has been written as a part of Indi Happy Hours #ImmuneIndia in association with Dabur India and Indiblogger.